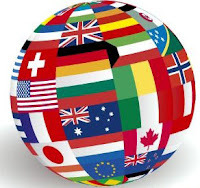 This weeks LIM Challenge is to use the colour of your nations flag. I had a bit of trouble working out how to use the colours of the Australian flag but once I came up with the idea I had a lot of fun making this card. The blue has come out a bit darker in the photo than what it is in real life. This is a stunning creation, I really love it... 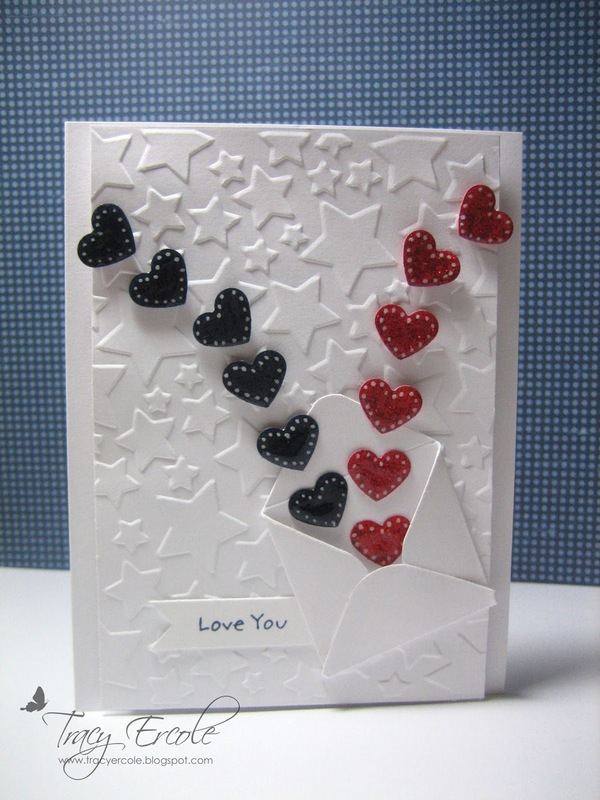 Which embossing folder did you use for the background? It looks terrific! Thanks so much for joining us and thanks too for showing your flag! Thanks for the nice comments. The embossing folder Chrissie is Craft Concepts, Starry Night. 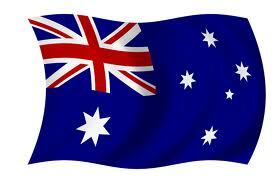 I just love that embossed background - the stars are fab and echo the Australian flag perfectly!! And I love the hearts flying from the envelope. Stunning! Oh, Tracy, how did I miss this one when I went through LIM yesterday?? I LOVE this card, it's awesome! Very nice LIM card! Well done! A gorgeous card, love the hearts flying out of the envelope! A fabulous card! Fabulous card! Ingenius design - Such a great take on the challenge! What a pretty, creative, and wonderful card!!! Wow!! 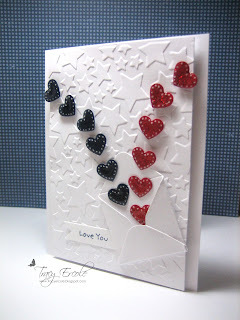 Hi Tracy, this is a fabulous card, love your idea with the hearts. This is beautiful! Are the hearts stickers or punched? Thank you :) I punched the hearts from card stock and added some white gel pen and glossy accents.